About the Program: The Sunshine State Young Readers Award (SSYRA) Program is a statewide reading program. The purpose of the SSYRA Program is for students to read books for pleasure that are on, above, and/or below their reading level. Please note that these books are chosen for students in grades 3 – 5 by the state SSYRA committee. Based on the subject and reading level, some of the books will be better suited for your child than others. 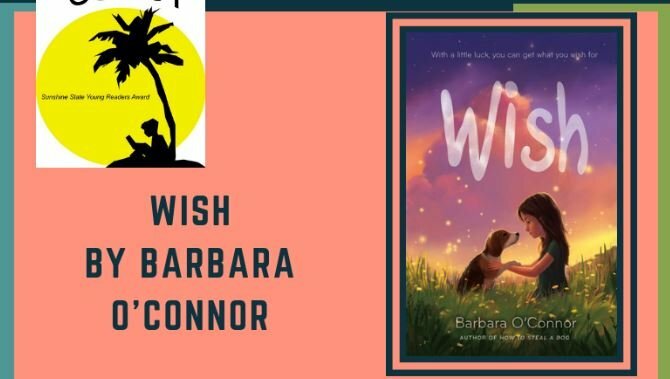 You are encouraged to become familiar with the books and if there are any books that you are not comfortable with your child reading, please contact Mr. Edeker. 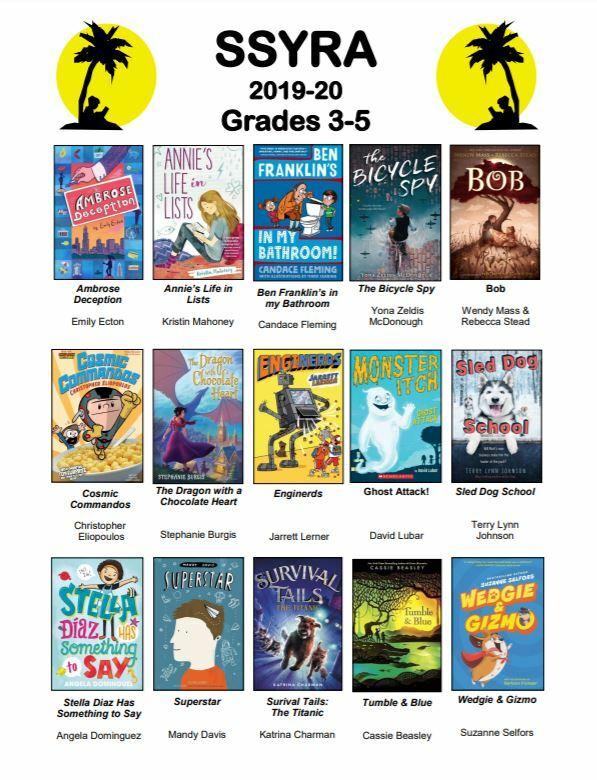 The set of 15 titles will be available for check out from our media center, your local public library, and every class will have a set of books provided by our wonderful PTO!!! Incentives and Rewards: Throughout the year, we offer incentives and rewards for levels of reading achieved by students. Students will keep a record of their SSYRA progress by placing stickers in their library folder. In order to receive stickers for reading SSYRA books, students must pass the required quiz (using the QuizStar database) with a score of 60% or higher. *** Quizzes will not be available until after school starts back in August. QuizStar user names and passwords will be given to student during their first week of media classes. WE DO NOT USE BOOK TACO at Rawlings. The Sunshine State Young Readers Award Program is jointly sponsored by FAME and the Florida Department of Education Questions about SSYRA? Contact the FAME SSYRA Committee Chair or Katrina Figgett at DOE.